Join us for the launch of Seema Reza’s Poetry Collection A Constellation of Half-Lives, and the very first Happy/Sad Tour Stop with Amelia Bane. Featuring performances by: 6 String Electric Cellist Wytold, Derrick Weston Brown, Joe Merritt, & an open mic. About The Happy/Sad Tour: One part comedy and one part poetry, Happy/Sad Tour celebrates a wide range of emotions in one hour long show. Start your night with the happiest stand-up and storytelling from Amelia Bane and end with Seema Reza reading the saddest poems you’ll ever hear. About A Constellation of Half-Lives: A Constellation of Half-Lives is a collection of poems that attempt to reconcile the crisis of living on a collapsing planet with the unreasonable joy of loving and the pleasure of being alive. 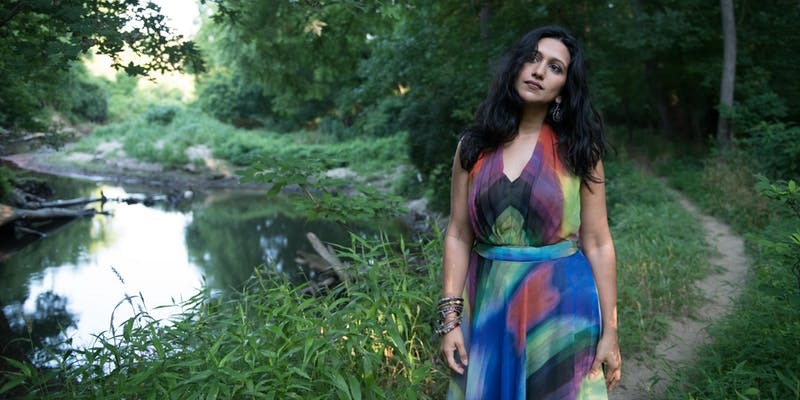 With careful precision and an exquisite eye for detail, poet Seema Reza examines what it means to be a mother, a daughter, and an American in a time of war. Through second-person poems she questions whether the beauty of this world outweighs its fragility and risk.